Joseph Garcia is set to die by lethal injection on Dec. 4. But now, new questions are being raised about where the lethal injection drug is coming from and about the quality of that drug. There are two big letters “D" and "R” on the back of Joseph Garcia’s white prison uniform — they stand for Death Row. Underneath, he’s wearing a burnt orange sweatshirt. The San Antonio native is a fan of the University of Texas Longhorns. Recently, Garcia has been having a tough time sleeping because his death day is coming up. “I wanna live, you know," he said. "But I'm also tired. I'd been fighting a long time." Garcia, who was serving a 50-year sentence for the fatal stabbing of Miguel Luna in San Antonio, was convicted of the murder of Irving Police Officer Aubrey Hawkins during the notorious "Texas 7" prison escape. Garcia is scheduled to be put to death at 6 p.m. He will be Texas' 12th execution of the year, and the fourth member of the Texas 7 put to death. Based on reports from the most recent Texas executions, the condemned did not receive a peaceful overdose. It appeared, in some cases, the execution was extremely painful. “Five of the 11 prisoners executed in Texas so far this year have made statements noting that they feel the burning,” said Robert Dunham, executive director of the Death Penalty Information Center. 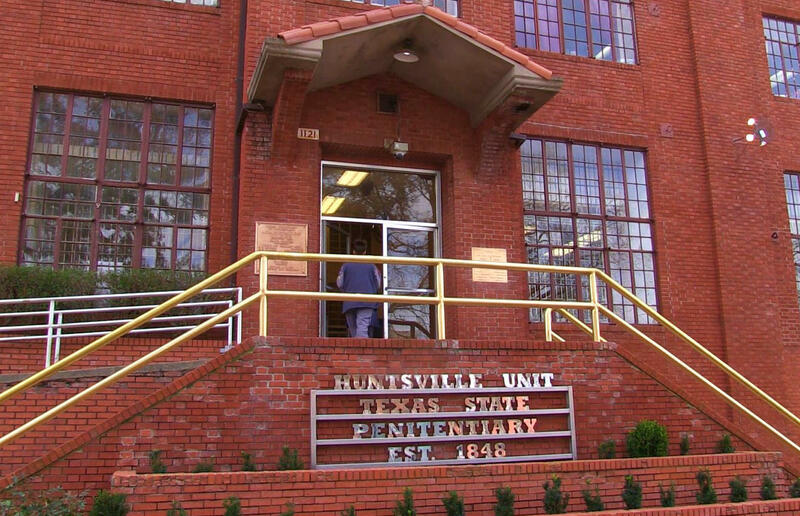 Joseph Garcia is set to die by lethal injection on Dec. 4 in Huntsville. He said Texas has switched from a three-drug protocol to a single drug: pentobarbital, which is a barbiturate that is supposed to knock out and kill the prisoner. But according to some execution witnesses, that’s not happening. “They feel pain from the pentobarbital. That's not something that we had heard in the past,” he said. If the pentobarbital was pure and not expired, it would be expected that the execution would be painless. But because of the opposition to the death penalty, those supplies are no longer available to Texas. Where Texas was getting its supply of the drug was an official state secret, but last week Buzzfeed reporter Chris McDaniel broke that story that the drugs were coming from a strip mall in Houston at the Greenpark Compounding Pharmacy and Gifts. The pharmacy’s owner denies making the drug. McDaniel said the fact that the Texas execution drug is coming from a compounding pharmacy is a big deal. Dunham said execution witnesses are able to tell that Texas executions have become painful even though the microphone in the death chamber is turned off. Dunham says there needs to be greater transparency in how Texas carries out executions. Last month, he released a report called, “Behind the Curtain: Secrecy and the Death Penalty in the United States." But some states, including Texas, argue that sharing with the public information about execution drug manufacturers puts those employees at risk, making it difficult for states to obtain the drugs needed to carry out the orders of the judicial system under the law. “We're going to shut them down by having continuing demonstrations out front," said Gloria Rubac, an anti-death penalty organizer. Rubac held a protest Monday in front of the Greenpark Compounding Pharmacy and Gifts, and she promises more protests and other actions will follow. Attorneys for Joseph Garcia are now seeking a reprieve from Gov. Greg Abbott based on the concerns about the compounded drug. Also, this could be an 8th Amendment “cruel and unusual punishment” issue that the U.S. Supreme Court will need to address. The lawyers say that Garcia faces an unreasonable risk of a cruel execution. Update: Garcia was executed on Tuesday, Dec. 4. Texas Matters: Transparency & Death Row — What's To Hide? This week on "Texas Matters," we look at the death penalty. Texas has executed 553 prisoners since capital punishment resumed in 1976, which is more than any other state. Over 11 years, Michelle Lyons watched 278 men and women take their last breath at the hands of the state. A San Antonio man is set to die by lethal injection on Tuesday for a murder he didn’t actually commit. As part of the notorious “Texas 7” escape, Joseph Garcia was convicted and sentenced to die under a controversial law some say is unconstitutional.